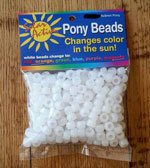 SolarActive Color Changing BEADED BRACELETS! The ORIGINAL - don't be fooled by substitutes! !